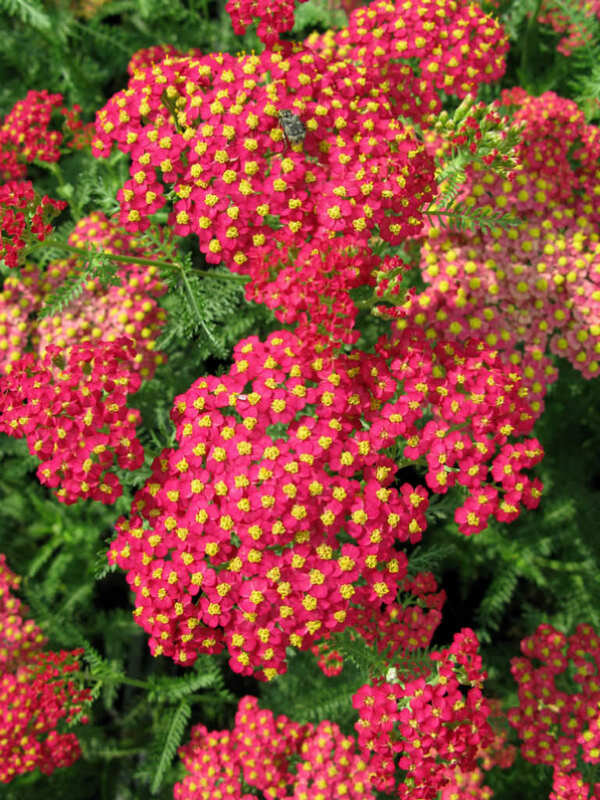 Achillea millefolium ‘Paprika’ is a spreading, mat-forming Achillea millefolium cultivar. 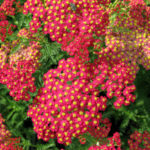 It is is noted for its deeply-dissected, fern-like, aromatic, medium green foliage and its tiny, long-lasting, dusty-red flowers with yellow centers. 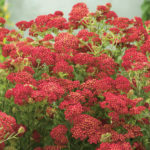 They appear in dense, flattened, compound corymbs up to 3 inches (7.5 cm) across, throughout the summer on stems typically rising up to 2 feet (60 cm) tall. 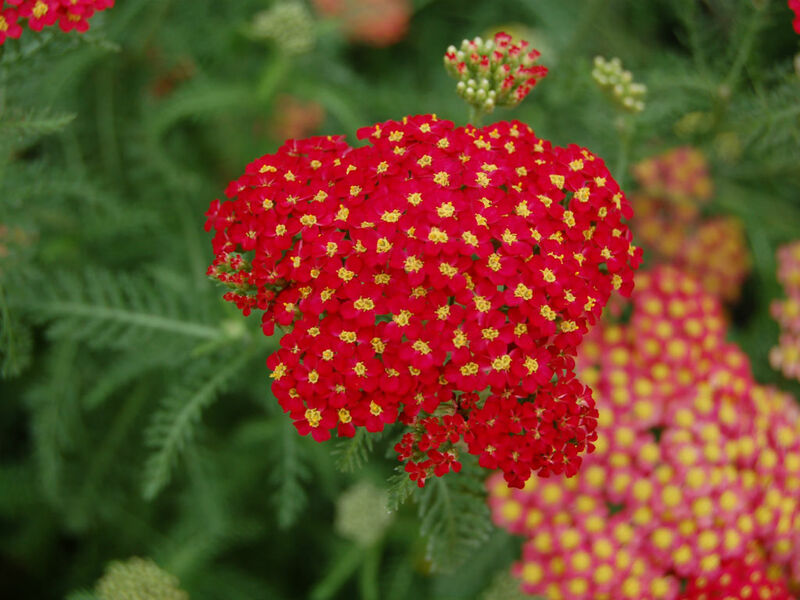 Initial flower color fades, sometimes rather quickly, to light pink, creamy yellow and brown. USDA hardiness zone 3a to 8b: from −40 °F (−40 °C) to 20 °F (−6.7 °C). 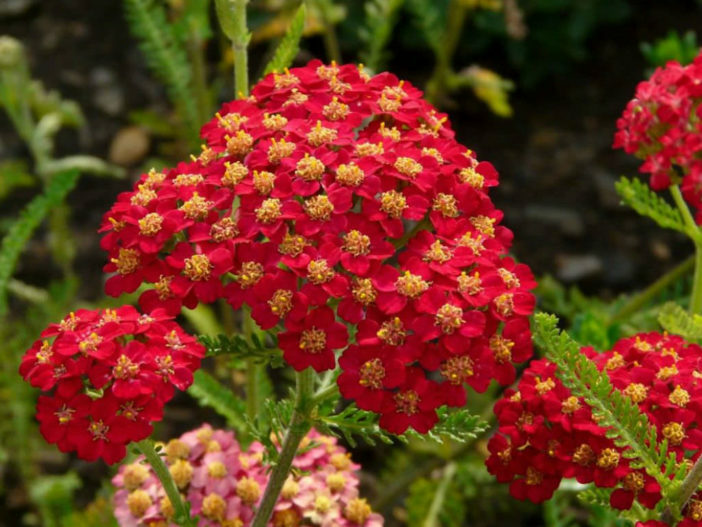 It is most often propagated by division, so chances are you’ll buy your Yarrow as a plant. Space your plants 12 to 24 inches (30 to 60 cm) apart if you’re planting more than one plant. 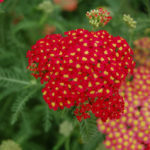 You can also start your Yarrow from seed. 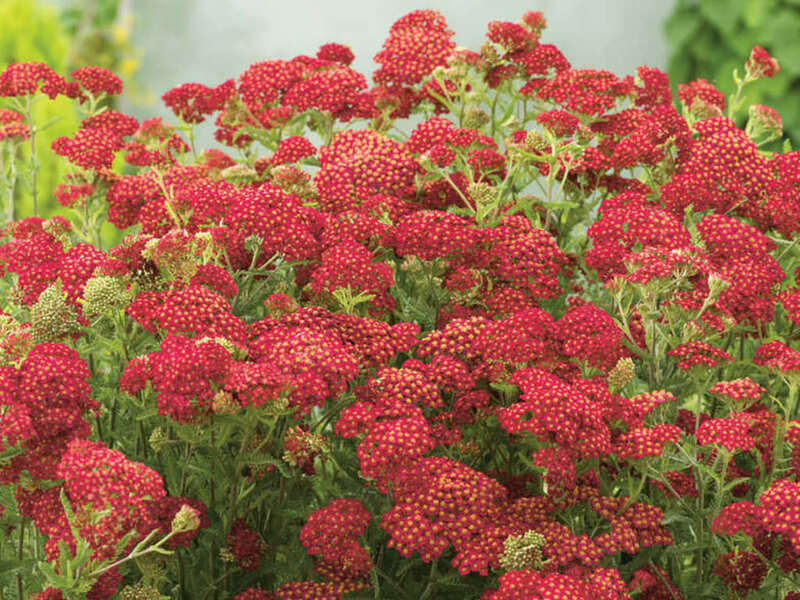 Start seeds indoors about six to eight weeks before your last frost date. Sow the seeds in moist, normal potting soil. The seeds should just barely be covered by the potting soil. Place the pot with the seeds in a sunny and warm location. The seeds should germinate in 14 to 21 days, depending on the conditions. You can speed up the germination by covering the top of the pot with plastic wrap to keep in moisture and heat. Remove the plastic wrap once the seeds have sprouted.